"Too much to do for a one night stay"
You will be amazed at what Strahan has to offer - below is a small selection of things to see and do. 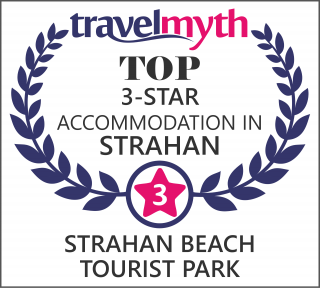 So come on, take a peek and linger a little longer to experience the best that Strahan has to offer. Explore Bonnet Island with a wildlife cruise and see where the world's smallest penguins waddle along the shores. Personalized Macquarie Harbour Tours – this is not a “behind the glass” experience. "Experience the difference of seeing the dunes on an ATV!" In January 1834, the last ship built on Sarah Island is nicked by ten convict shipwrights.